Club Penguin Cheats by Mimo777 Club Penguin Cheats by Mimo777: Club Penguin's Got Talent: With Chattabox! Chatta's musical chairs party looked pretty awesome! 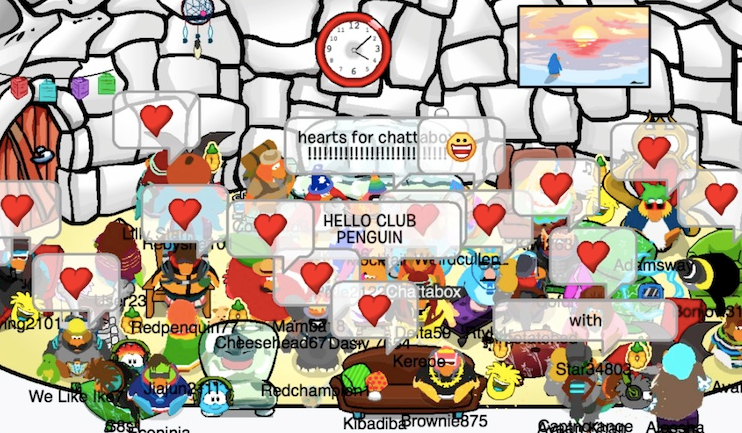 Check out the screenshot of Hearts for Chattabox! So for this week, Chatta wants to see how talented her Penguin friends are! So she's holding her own "Club Penguin's Got Talent" inside her igloo. Everyone is welcome and those of you who take part will get an amazing postcard from Chattabox! If you already have a Golden Puffle, make sure you bring them along too!